We all make choices every day. Some of these choices are insignificant while others may have dramatic consequences. The choice to have cosmetic surgery is a significant one. Equally important is the selection of a plastic surgeon. Choosing from the many Sacramento plastic surgeons can be difficult, but finding the right one can make the difference between satisfactory results and results that you are thrilled with. When it comes to selecting a Sacramento cosmetic surgeon, you have a choice. If your goal is to achieve merely a satisfactory result with your surgical procedure, almost anyone can deliver. 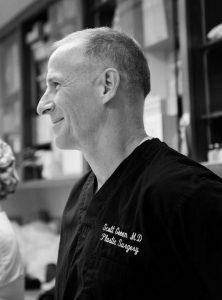 But Dr. Scott Green is not satisfied with results that only meet your expectations – he strives to exceed them. Dr. Green believes that good choices are generally based on good information. That is why he and his highly knowledgeable and trained staff encourage cosmetic plastic surgery patients in Sacramento to ask questions. In evaluating who you wish to perform your cosmetic surgery, there are a few questions that you may wish to ask. Are they a member of the California Society of Plastic Surgeons? Is your surgeon a Fellow of the American College of Surgeons? Are they experienced and trusted in the community? Are they proficient in the latest medical technologies and surgical procedures? Do they have an on-site surgical facility staffed with a board-certified anesthesiologist? Do they have an experienced nursing staff with over 25 years of experience to assist you? Have they provided superior surgical services to the community for over 37 years? Have they won prestigious medical awards for their work and research? Do they regularly instruct and educate other plastic surgeons on how to improve their technique? Do other plastic surgeons seek to emulate the results that they are regularly able to achieve? Do they consistently exceed their patient’s expectations? In the end, picking the right plastic surgeon in Sacramento for you is above all a personal choice and an important one. So, however you go about selecting your doctor, choose wisely. You should have comfort and confidence in your selection because you trust the skill and judgment of your surgeon. Dr. Green has worked hard to earn that trust and does not take it lightly. So whether you have already decided to have cosmetic surgery or are simply exploring your options, request a consultation with Dr. Green today and discover what results you can achieve with him that may not be possible with other surgeons.